MicroMD PM medical billing software streamlines billing operations, putting both patient financial overviews and transaction details at your fingertips. All charges, payments, write-offs, adjustments, refunds, aging and encounters related to a given claim are easily accessible in MicroMD PM. For inquiries, billers simply double-click a payment line to drill down into greater detail. 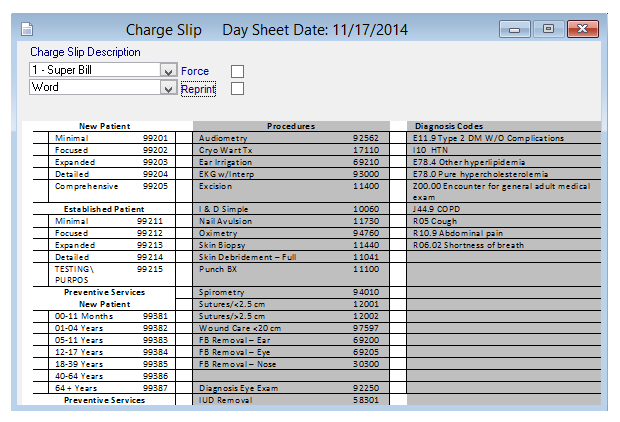 Maintain multiple, customized charge slips and assign the correct slip based on appointment type, provider or other criteria. Define explosion codes for grouping multiple charges and posting them under a single code. Post payments manually, one at a time, in batch mode, or with AutoPosting for payments from electronic remittance. Generate simple bills, which show only patient-responsible amounts, or more detailed statements, which include amounts pending from payers. Check claims for common errors and diagnosis codes for appropriate digits, as well as a thorough check of the entire claim for CCI concepts with MicroMD PM Code Scrubbing functions. Currently available for ICD-9. Available to activate for ICD-10 codes when needed. Create custom EDI checks and messages, which allows you to identify errors before you submit the claims. 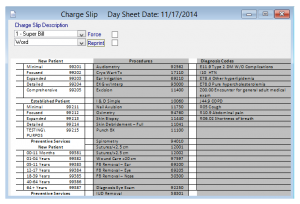 Integrate with MicroMD EMR or another electronic medical record (EMR) system for completely automated charge capture.